Looking for Some Delicious Local Food? 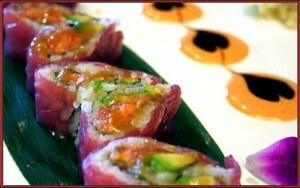 Dine at Li Asian Cuisine in Canton, Ohio! Though it’s nice to let someone else do the cooking every once in a while, burger joints and Italian eateries can get a bit dull. Dining outside of your Massillon, Ohio or Alliance, Ohio home doesn’t just give you the opportunity to get out of the kitchen, it’s also the chance to experience new and unique foods that you don’t know how to make yourself! So, don’t you want to get some local food that can awaken your taste buds with a burst of exotic flavors? That’s exactly what you can expect when you visit the best Asian restaurant in Canton, Ohio—Li Asian Cuisine. With their experienced chefs and creative menu, a trip to Li Asian Cuisine will allow you to treat yourself to all kinds of delicious sushi and hibachi dishes! Experience is a good teacher. It helps in life, in love, and it shows in our work when we live for what we do and love it too. This is certainly the case at Li Asian Cuisine in Canton, Ohio. The classy yet comfortable restaurant is the creation of two seasoned professionals with over 50 years of combined experience. Years spent returning dining pleasure to post-war China. And time served opening and operating successful eateries in Japan and the US. Partners for more than 15 years, Clement Liu and Yu-Hong Li have applied their expertise to their newest venture. Their offerings of Japanese food, Thai food and Mongolian food highlight their travels and dazzle their guests. Residents of Louisville, Ohio; Perry Heights, Ohio; and Wooster, Ohio can experience authentic Asian food without traveling far from home. Are you having trouble finding good traditional Chinese cuisine? Are you craving some of those classic Japanese dishes near you in Stark County, Ohio? For all these great meals and more, visit Li Asian Cuisine in Canton, Ohio. Li Asian Cuisine offers a relaxed dining environment unlike any other, serving a variety of Chinese, Japanese, Mongolian, and Thai dishes that will make your taste buds soar! Not sure you have time to sit in and enjoy this great location? You can experience the wonderful dishes of Li Asian Cuisine at the convenience of your own home when you order from their high quality takeout menu. Li Asian Cuisine understands that people are busy, but that doesn’t mean they don’t deserve a good meal. Just call in to order one of their amazing takeout menu items and pay for it when you pick it up! Only with Li Asian Cuisine can you experience food this great in the North Canton, Ohio area! Do you love Asian-inspired meals? Perhaps traditional Chinese cuisine with a touch of Japanese, Thai or Mongolian taste? Then Li Asian Cuisine in Canton, Ohio is a restaurant you must try to satisfy your taste buds. Here you will find many of the flavorful chicken dishes that you may crave. They have quite the reputation throughout the North Canton, Ohio and Massillon, Ohio area for their specialty wraps and Asian appetizers. This is because the food is prepared by chefs that have experience with this type of cuisine in order to satisfy customers’ desire for authenticity. Whether you dine in or take-out, Li Asian Cuisine is sure to set itself apart from most other Asian restaurants in the area. Don’t have time to cook this evening? Then don’t! Li Asian Cuisine in Canton, Ohio offers a casual dining experience for those who just want to get out of the house and enjoy some delicious Asian cuisine with friends, family, or colleagues. Even if you want to relax at their fully-stocked bar after work, come on down to this Stark County, Ohio location from the Alliance, Ohio area or come up to visit friends from the Massillon, Ohio area. With their specialty wines and liquors, you can relax with old friends and catch up on all those good times in this pleasant atmosphere. When was the last time you had real, authentic Asian food? Not the kind that you find in the frozen food section of your local grocery store, or the greasy, salty items you pick up at the food court—but truly delicious Asian dishes prepared with quality ingredients by chefs skilled in this particular type of cuisine. A few months? Years? Never? Then it seems like you need to take a trip to Li Asian Cuisine as soon as possible. This Stark County, Ohio establishment gives locals the opportunity to partake in decadent meals while still providing the affordable dining we all want. And if you’ve been searching for an Asian restaurant coupon in order to enjoy a reasonably-priced meal with a group of your loved ones near the Canton, Ohio and Massillon, Ohio area, Li Asian Cuisine offers great deals online. Finding a restaurant that has quality Asian dinning can be a quite difficult but it doesn’t have to be. 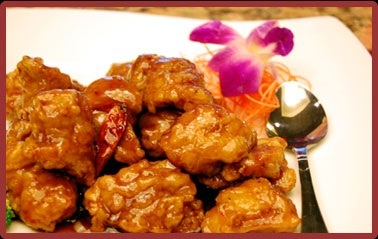 Locally owned, Li Asian Cuisine offers Canton, Ohio; North Canton, Ohio; and Massillon, Ohio authentic Asian food. Whether you are looking for a local Asian restaurant to have a romantic night out or a family dinner, Li Asian Cuisine can accommodate either outing.